The 364 Hamilton portable table is 30″ high with a contour frame design. 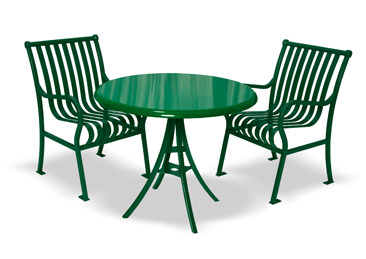 Available in 36″ square or round table top with 3 design options. 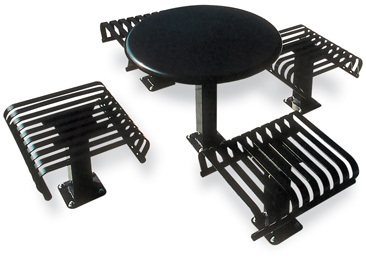 This distinctive line features a solid top table with slat seats. The table top is 36″ diameter with 24″ seats. Choce of inground or surface mounting with a powder coated finish. Our elite Hamilton Seating Collection comes with a vertical or horizontal strap in 2′, 4′ or 6′. Seating is available with or without back. 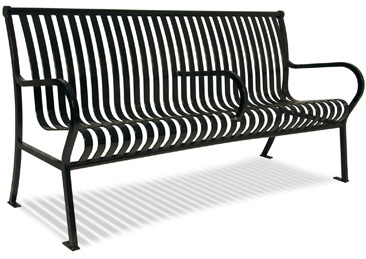 This versatile bench seating is both portable and/or surface mount with a powder coated finish.